the rod and/or letting out line. Then you can retrieve the wet fly back to the rod in short pulls, letting the fly dart and dive erratically in the current. In this manner, the wet fly can resemble a drowned or drowning insect on the downstream drift and a hatching insect or a minnow on the upstream retrieve. Such a technique allows an angler to thoroughly fish a large section of water. You can also fish a wet fly in still waters by casting out to a likely area, letting the fly sinkeither just beneath the surface, to mid-level, or down to the bottom, depending on the water and the speciesand then retrieving it, either quickly or slowly, erratically or smoothly. 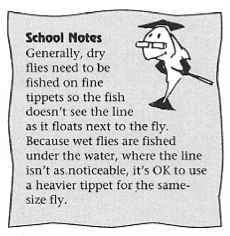 It's also possible to fish with more than one wet fly at a time. You can accomplish this by tying one or two dropper linesshort lengths of monofilamentonto the leader, above the end (or point) fly. 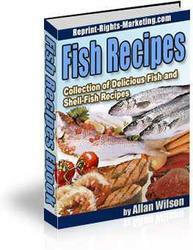 The angler can then present a number of patterns simultaneously to find out what the fish are interested in that particular day. Also, tying a large fly at the point and a small fly on a dropper gives the appearance of a large baitfish chasing an insect, or a small baitfish, which often provokes strikes. 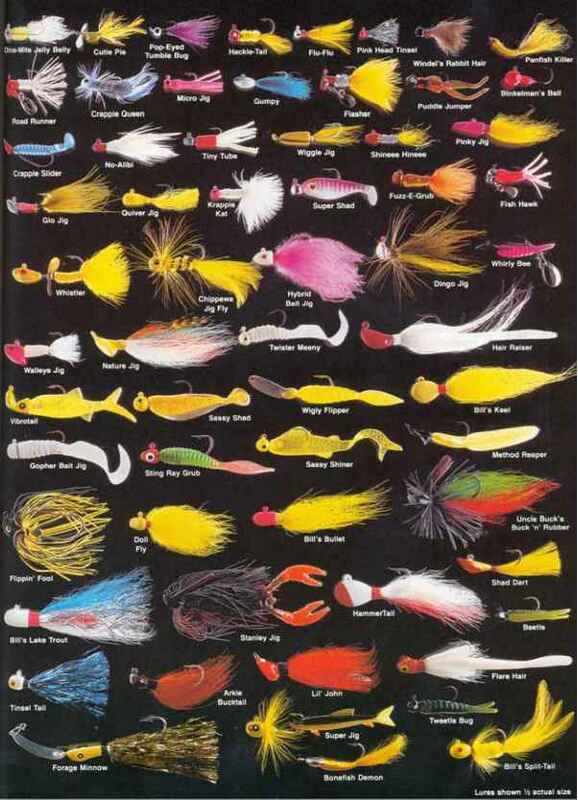 Examples of wet-fly styles, from left: divided wing, featherwing, and hackle. Because there are many wet-fly patterns, it's impossible to come up with a list of flies that would work for any fishing situation. However, the ten patterns listed in Table 17.2 are a good all-around collection for the beginner.